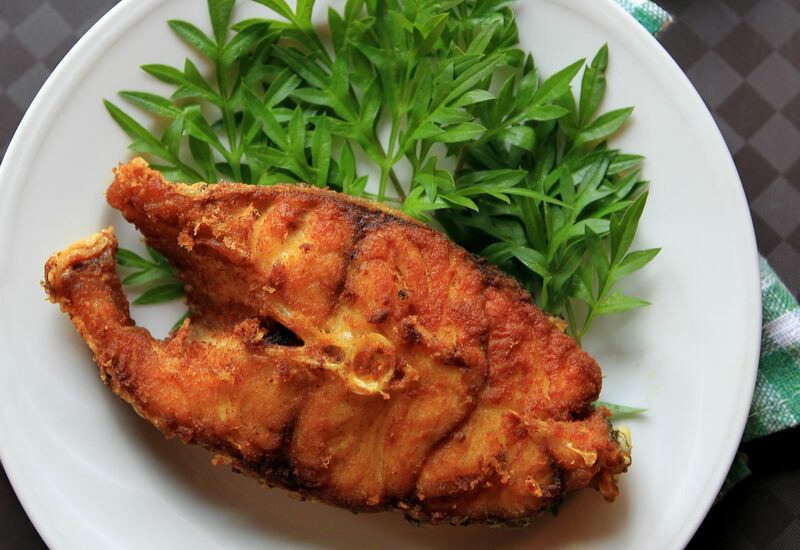 Ikan Goreng Kunyit, also known as Turmeric Fried Fish is a favourite among families. This four-ingredient dish is easy to prepare and great for cooking up lunch or dinner on the spur. It’s hard enough to get kids to finish their dinner, this yummy fish dish is bound to have them asking for seconds. Unbeknownst to these little ones as they are wolfing down their rice and fish, turmeric possesses an active ingredient called curcumin, which is a strong antioxidant and has anti-inflammatory effects, helping in fighting pathogens. Marinade fish with tumeric powder and salt, and leave to stand for 5 minutes. Heat up oil in a wok or saucepan. Fry fish for about 5-10 minutes, until surface turns golden brown. Remove fish from wok or saucepan and drain the remaining oil before serving. My mom used to cook me this as my lunch when I was a boy.